We didn’t manage to read the whole of Chapter 7 last time so we’re reading the second half next time, picking it up from the headline “CLEVER, VERY”. 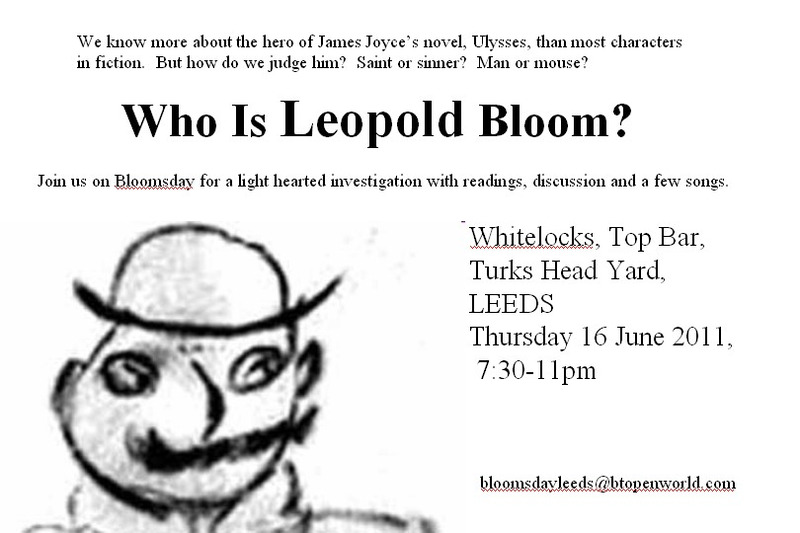 For a more relaxed evening with Joyce and Ulysses you might be interested to note that we are holding a Bloomsday event in Whitelocks on Thursday 16 June (Bloomsday), 7.30 to 11. It’ll be a mixture of reading and discussion and maybe a few songs.